From chic gatherings to exciting shows, theme parties & events. 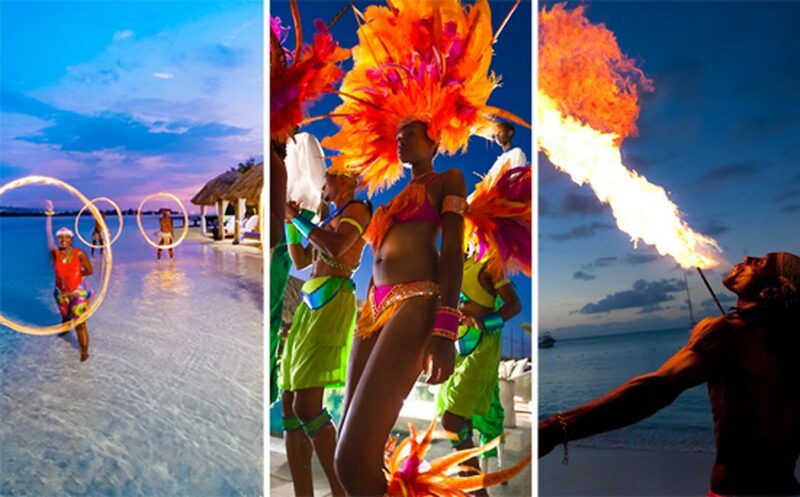 There’s no better place to embrace the rhythmic beat of a Caribbean night than Sandals, where every night is a celebration. All inclusive. All the time. Anytime. The stars really appear center stage for night shows featuring the excitement of top-rate entertainers and the thrill of authentic island culture. And during talent night, the tables turn and it's you that become the star. From the slightly wild and exotic to the modern and lively, the parties go on as long as you do. 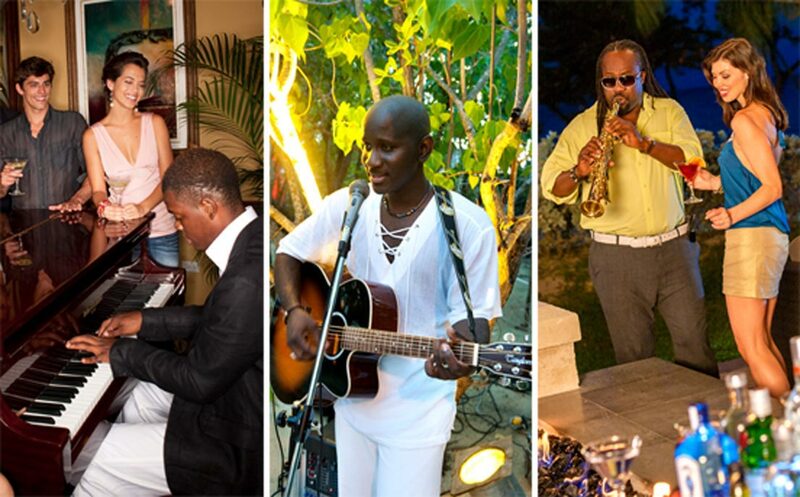 We’ve scoured the islands to bring you the best entertainers around the Caribbean. 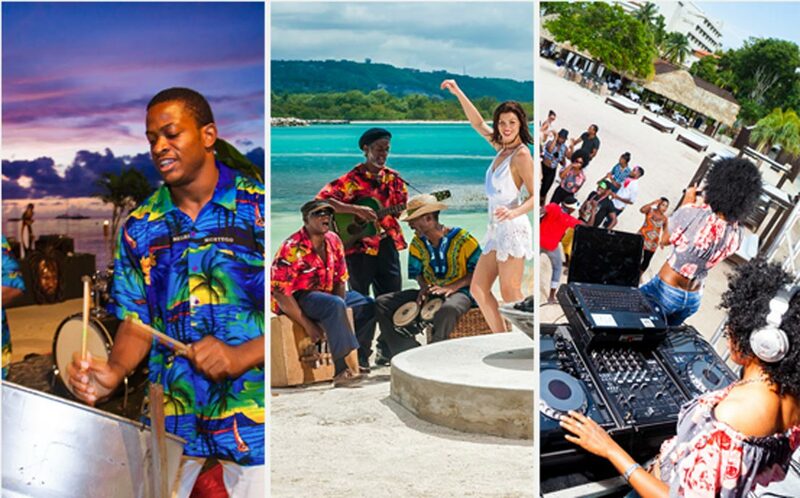 From fire dancers to soloists to steel pan bands, enjoy a true island experience featuring the best artists. Elevate the romance with traditional entertainment options for your ceremony or reception, or have a DJ play your favorite playlist. At Sandals Resorts, you can have both. Embrace the destination and incorporate the culture into your wedding day. Add a Junkanoo band, steel pan player, or even a reggae band. Think outside the box and surprise your guest with live performances. Consider fire dancers or stilt walkers for your celebration. Keep your guests engaged and laughing with on resort games including lawn games, table games, or even group games. 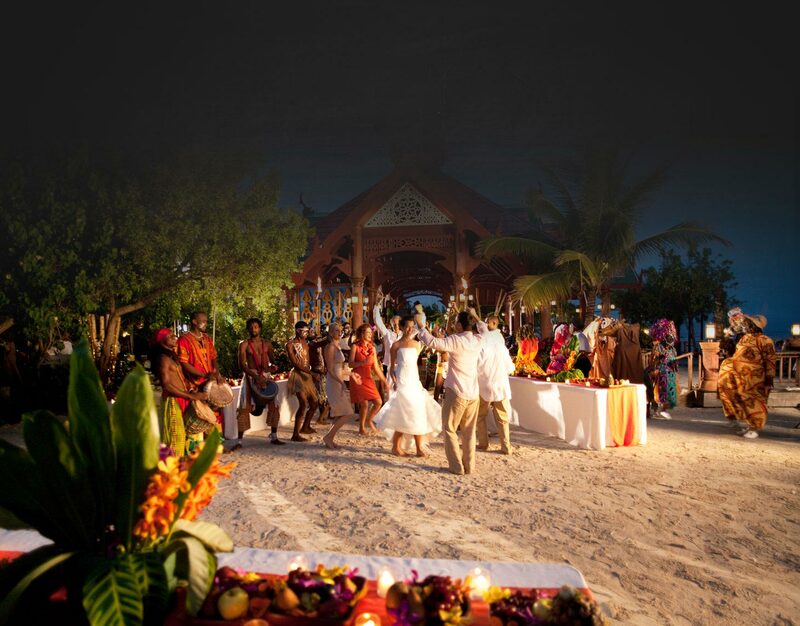 Friends & Family Joining Your Destination Wedding? When you book 5 rooms or more, you’ll get even more inclusions such as one free room, private functions and more.